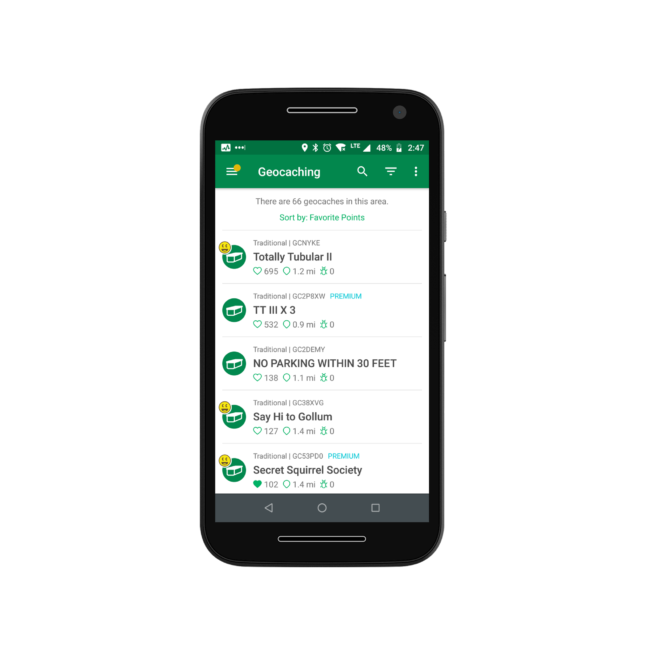 Geocaching Favorite points are a Premium member feature and a simple way to track and share the geocaches that you enjoyed the most. You can award Favorite points for geocaches you like most and find the best geocaches by searching for geocaches with a high number of Favorite points. These include but are not limited to geocaches in interesting or unusual locations, cool hiding places, creative cache containers, or challenging Mystery Caches. How can I find highly favorited geocaches? In the Geocaching® app, switch to List view on the map and Sort by: Favorite points to see Geocaches that are liked most in the location you mapped in the app. On Geocaching.com, use the worldwide search to find the best caches around. Select a location or specific radius around your home location, select Search, and sort the resulting list of geocaches by Favorite points. Alternatively, you can filter for caches with a minimum number of Favorite points. Project-GC, a Geocaching API partner, offers a tool that lets you find geocaches with a high percentage of Favorite points. Their Top Favorite Caches feature allows you to search by region and add additional filters, such as cache type and size or terrain rating. How can I collect Favorite points? Only Premium members earn Favorite points to award. One Favorite point just for being a Premium member and one Favorite point for every 10 geocaches you find. How can I award a cache I like with a Favorite point? After you found the geocache and signed the logbook, you can award a Favorite point when logging the cache. On Geocaching.com, award a Favorite point while you log your “Find”. 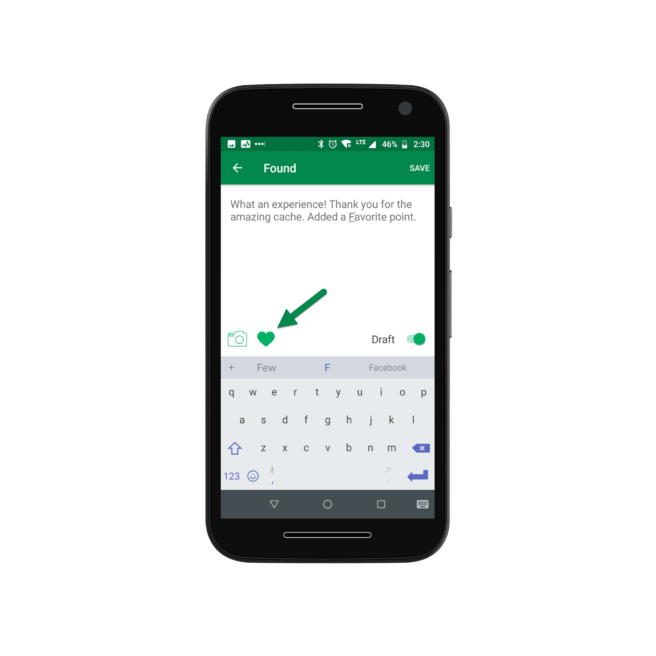 In the Geocaching® app, go to “Log” and select “Found.” Write your log and select the heart icon on the bottom of the screen to award a Favorite point. Post your log. 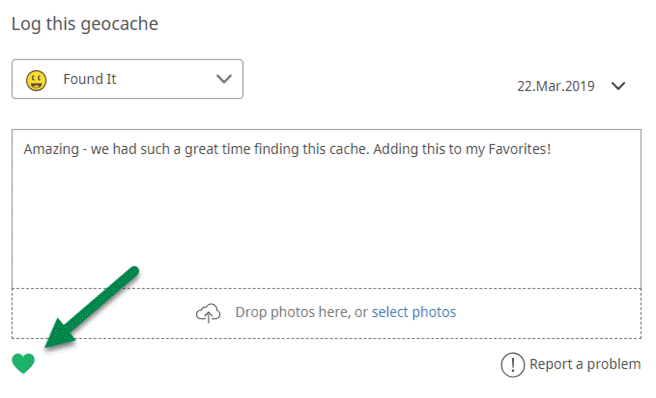 Go to a cache page that you have logged as “found”. Select the drop down that shows the Favorite points. What geocaches are on your personal Favorites list? Share your most amazing geocaching experiences in the comments!